If you love wine and the enjoyment that it can generously offer, without great effort or thought, then a wine from the Agiorgitiko grape variety would be the perfect choice. You must be wondering why this is the case. Simple! It has the charming combination of expressive fruit aromas, while tannins and acid are on the moderate side. In other words, it ticks all the boxes, because none of its structural elements is edgy. 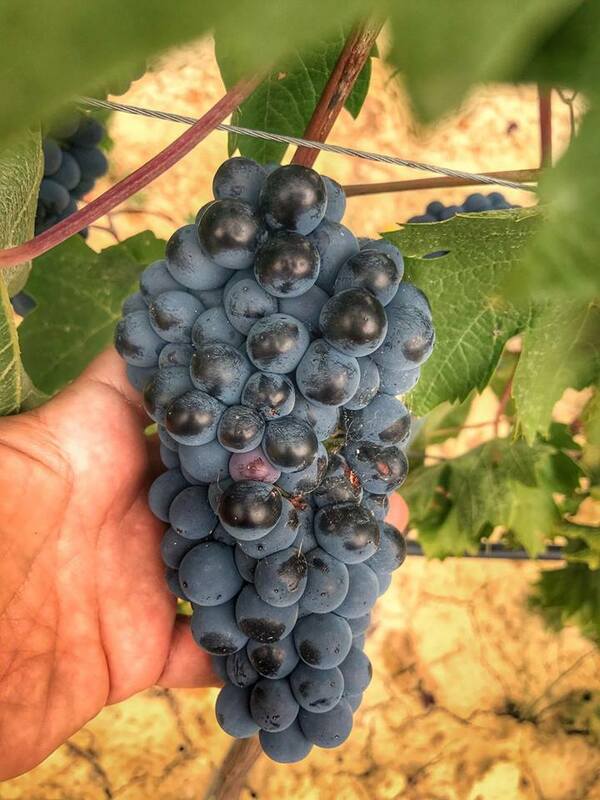 These are the exact characteristics of crowd pleaser wines, and such wines are those commonly produced from Merlot, Tempranillo, even Grenache, Dolcetto or Malbec in Argentina. This, of course, is what happens in the mainstream, because no variety produces a single wine style or quality exclusively. Each of these varieties can also boast impressive and outstanding wines. Thus, the wines produced of Agiorgitiko are usually like blockbuster movies, with high viewings and appeal, but this does not mean that you don't find more artistic approaches. If these were represented by a director, I believe that Steven Spielberg would be the most fitting, as he is the only filmmaker that has at least three of his movies in the top 10 blockbusters of all times. Followed by everyone else. Having said that, Agiorgitiko has a lot more to deliver and it can definitely rise to higher quality standards, away from the everyday delights! Certainly, it has its secrets. Agiorgitiko is a fruity variety that does not like a high proportion of new oak because it overpowers its wonderful aromas, and for the same reasons it does not need prolonged extractions, as if it were a Cabernet Sauvignon. It is a softer, more delicate and elegant variety. Of course, it poses many challenges, particularly in the vineyard. The big challenge there - that probably applies to most reds in our country, but also to several whites - is to produce wines with concentration, but without a heavy or overripe character. Wines that are muscular, but also light on their feet. It is a not easy task, but this is what it is all about. Who wants to drink another alcohol bomb loaded with new American oak? The general characteristics of the variety include a wonderful, open, fruity character, with aromas of strawberries and cherries. It is followed by a juicy palate. When it is well ripened, the fruit can become darker and the taste is velvety and hedonistic, with supple tannins that caress your tongue. To better understand the expressions of Agiorgitiko, I have chosen three wines from the Greece and Grapes collection, in three different styles. These, are typical of the range of expressions of the Agiorgitiko. You are welcome to try them and I would love to have feedback from you. Palate: Soft, charming and delicious. To be consumed over the next 1-2 years. Nose: Moderate to high intensity with well integrated oak. Oak aromas (chocolate milk, nuts). Palate: Hedonistic and concentrated with noticeable, but not intrusive, tannins and medium weight. Acidity provides energy and refreshment. Consumption over the next 3-4 years. Nose: High intensity with the oak manifesting its presence. Oak aromas (chocolate cake, smoky). Palate: Robust wine with exceptional quality fruit that starts gently and sweet, and shows its tannin strength in the finish. Consumption over the next 6-8 years. Viticultural Characteristics: Late ripening variety that ripens from mid-September onwards. Prone to fungal diseases, produces thick bunches with medium sized berries. Productive variety that loves poor soils. The ongoing clonal selection has 6 clones to present, so far, with only the one commercially available at this point. Style/Terroirs: Rosé wines with tension and minerality from the Asprokabos region, reds that can range from fruity to structured styles, with the specific terroirs showing their particular characteristics (Koutsi, Leontio, Gymno, Asprokampos, Xirokampos, Ancient Nemea and Ancient Kleonai, amongst others). A few but interesting dessert wines. Costs: From 5 to about 60 euros. Food pairing: Ideal with hare or lamb stew, but will pair beautifully with a variety of dishes, from sausages and soft cheeses to more complex meals.